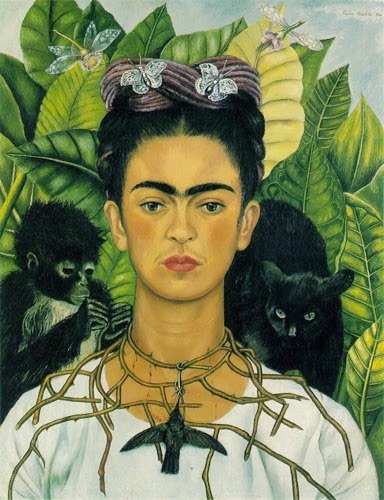 Today a few of us from the Art Bead Scene blog are sharing how the monthly challenge painting by Frida Kahlo has inspired us this month. You can read all the challenge details here. The story and symbolism behind this painting is so sad, it reflected the pain and heartbreak of losing the two great loves of her life. 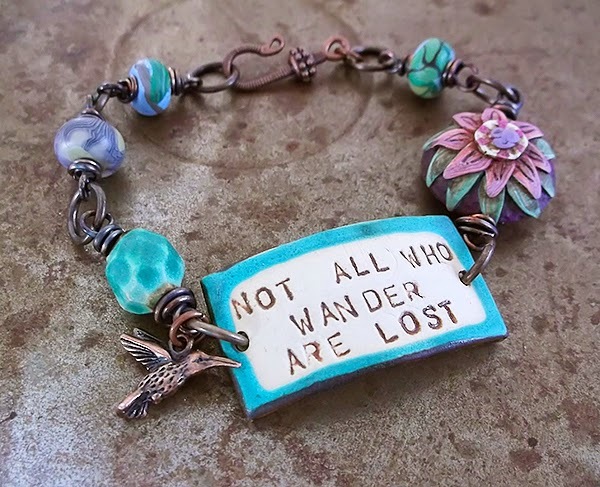 For my beads that I created I focused on the foliage behind the artist, taking visual clue from the leaf and sky. Even the butterflies in her hair found their way into the beads. I also did a design inspired by the thorns. 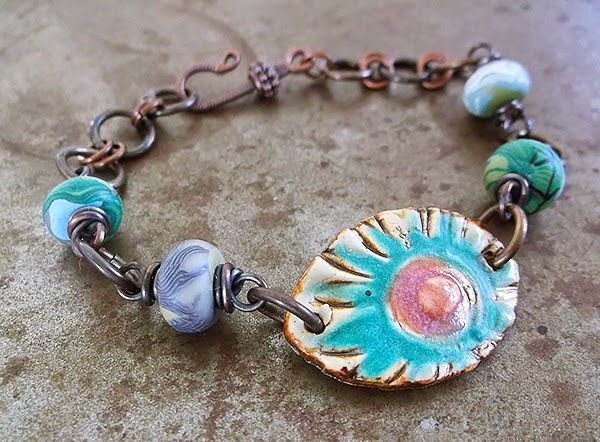 I took the disk beads and created two bracelets with ceramic cuffs from Suzie Q Beads. For this design I used a series of jump rings to create the chain. The next bracelet I took a few cues from the painting but went into a more playful direction than the serious subject matter of the painting. 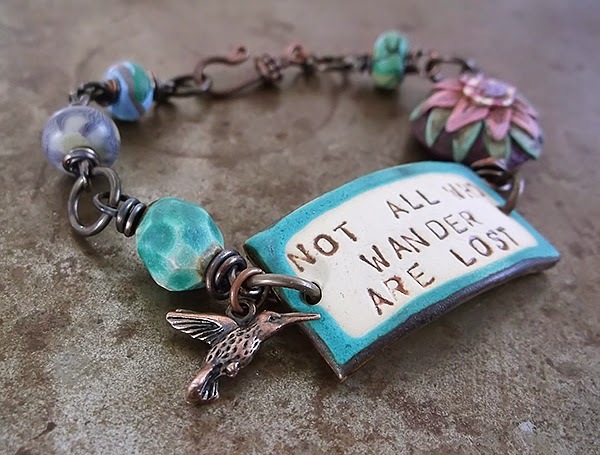 For this bracelet I added in a tropical Bonbon bead. I definitely stepped away from the inspiration and went in a brighter and cheerier design. And isn't that the best thing about the monthly challenge? 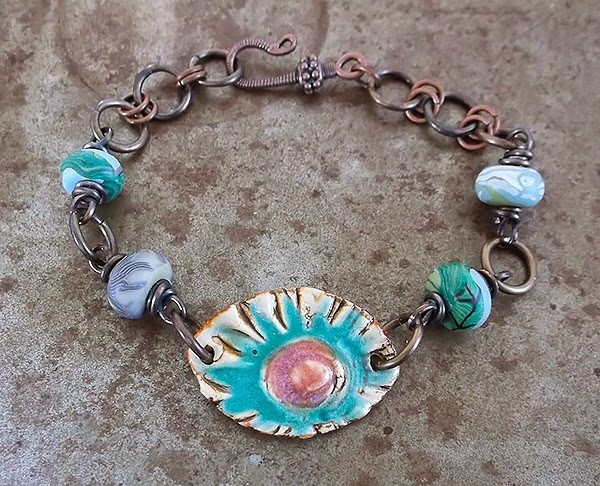 It's a spring board that takes artists from all the world on creative explorations as they take a painting and transform the colors, designs and subject into jewelry. Have you created something for this month's challenge? You still have a few days, so join us! 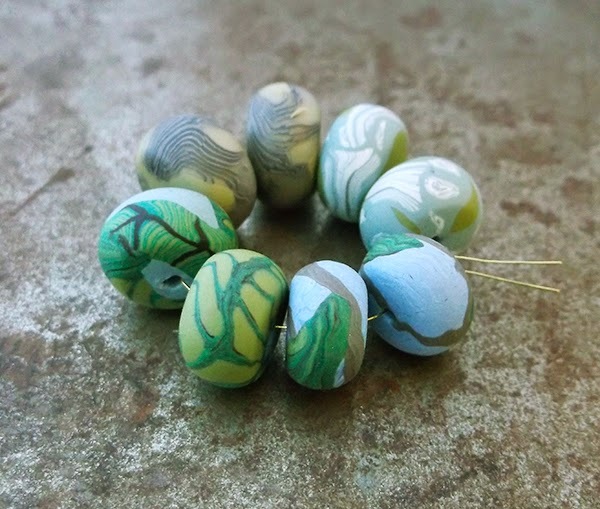 Featured Beads: Bonbon Beads and Wild Growth Disk Beads.